Lightweight mountain bike performance for young rippers. 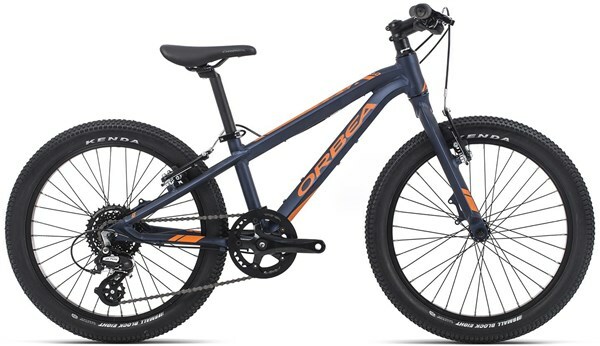 The Orbea MX 20 is a kids bike that rolls on 20” wheels and is ideal for boys and girls aged 7-9 years. This Team Disc version of the MX 20 has hydraulic disc brakes for the ultimate in all-weather speed control as well as an aluminium fork to match the alloy frame and keep the weight down. With a Shimano 8 speed drivetrain they’ll have the gears they need to ride the ups and downs of the local streets as well as dirt roads.